Running offical docker images from docker hub on OpenShift Origin can be painful as it uses arbitrary user ids by default. Often you end up building your own or using 3rd party forks/clones of the offical image, which leds to additional effort to keep it up to date in terms of security and/or version upgrades. 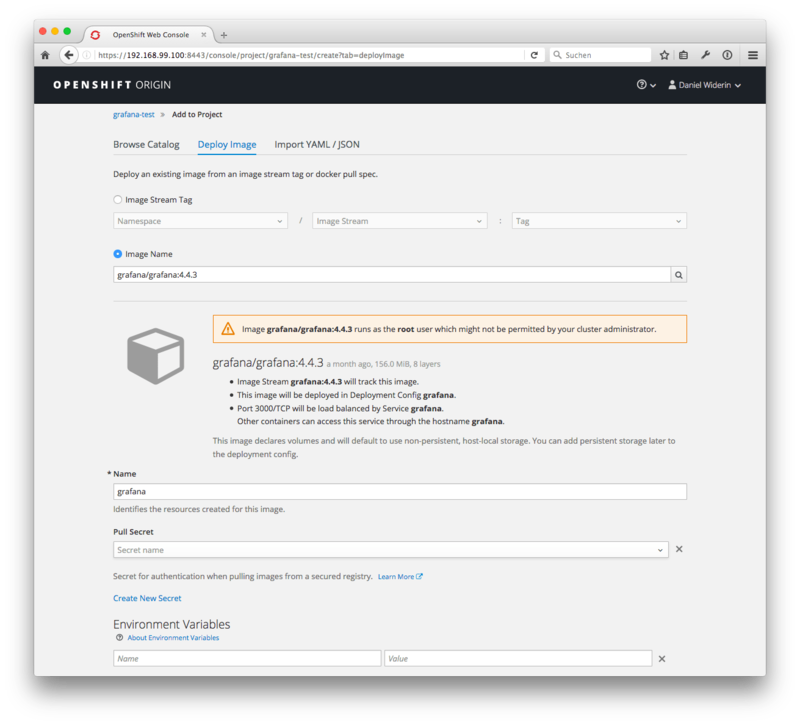 Technically speaking, OpenShift Origin generates a dynamic uid to launch a container which will not have an associated entry in the containers /etc/passwd file. At docker image build time this user does not exist so chown files and/or directories to this uid is not possible. If you use a different entrypoint you will bypass run.sh and stay root. 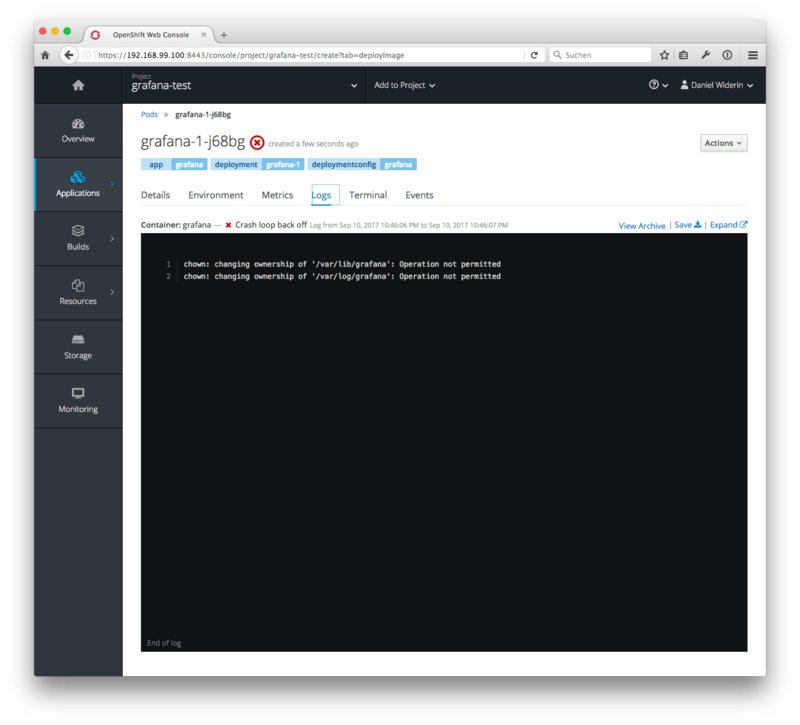 Platforms as OpenShift Origin which share a huge amount of containers among its shared infrastructure use docker’s --user switch to launch the container. This works fine, but how to bring this to OpenShift Origin? --> Found Docker image d649e9c (4 weeks old) from Docker Hub for "grafana/grafana:4.4.3"
* This image will be deployed in deployment config "grafana"
* Port 3000/tcp will be load balanced by service "grafana"
* Other containers can access this service through the hostname "grafana"
1 error identified, use 'oc status -v' to see details. There are several things to fix. We have to inject a configmap with Grafana’s configuration file, because it cannot read the configfile in /etc/grafana/grafana.ini or if a volume was mounted automatically, there’s no configuration file. We have to adjust the entrypoint and arguments for container startup as described in the kubernetes documentation for command and args. 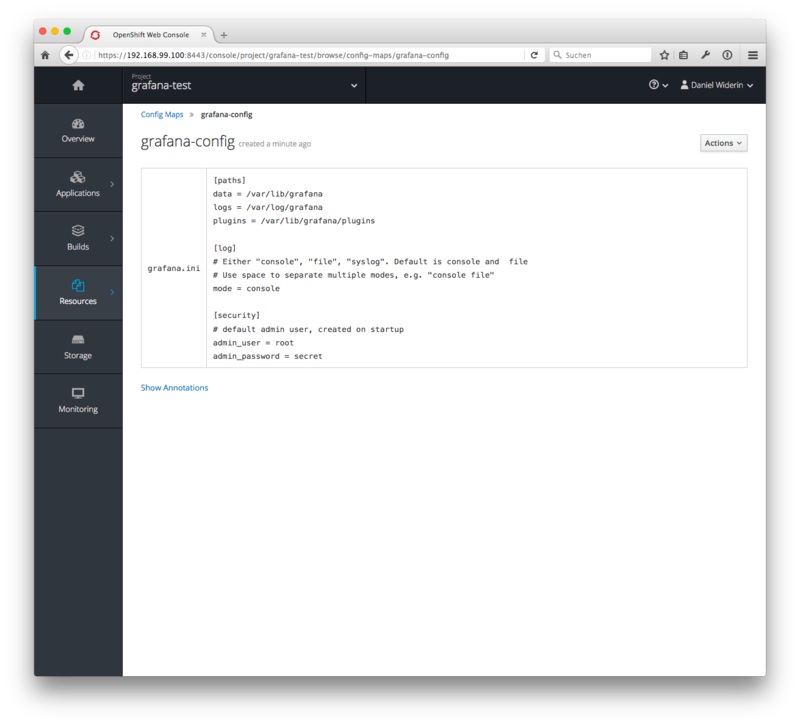 Let’s start to create a configuration file for Grafana. 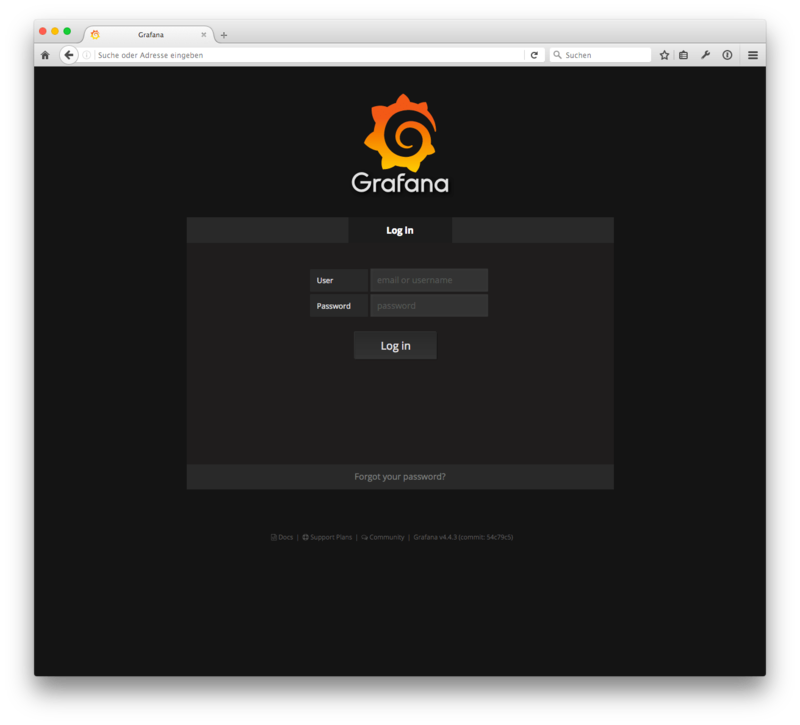 Adjust it to your needs and store it as grafana.ini in your current working directory. Mine is listed below. # Use space to separate multiple modes, e.g. "console file"
Now create a ConfigMap which contains the content of the configuration file. Let’s continue by modifying Grafana’s deploymentconfig by opening it for local editing, which seems to be the easiest way to adjust all those settings. 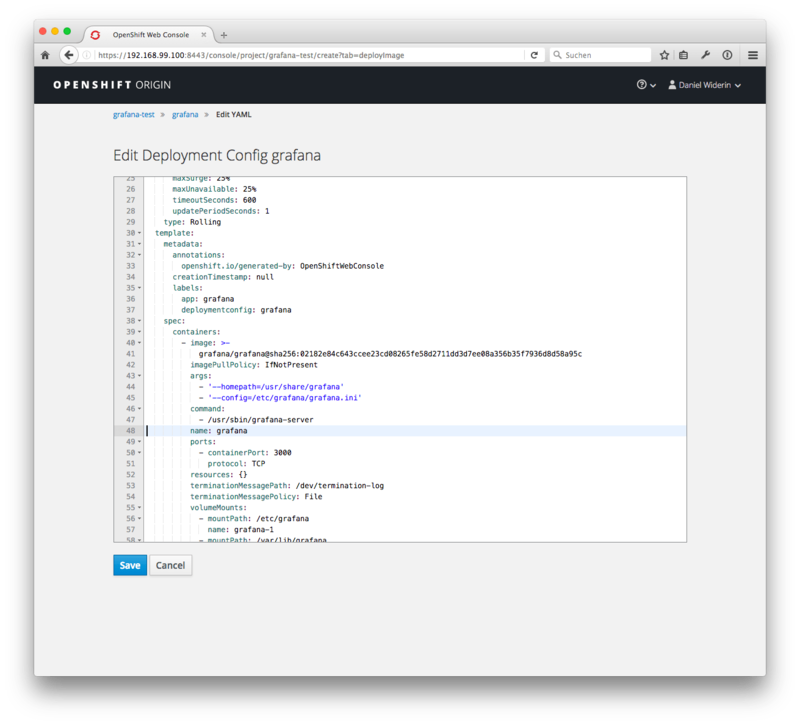 You could also edit this in the OpenShift Origin YAML editor on the deploymentconfig’s page. Fix the volume mounts which were created automatically because they’re exposed as VOLUME within the Grafana docker file. You might want to use a persistantVolumeClaim to store Grafana data on a persistent storage. Add command and args as shown below. 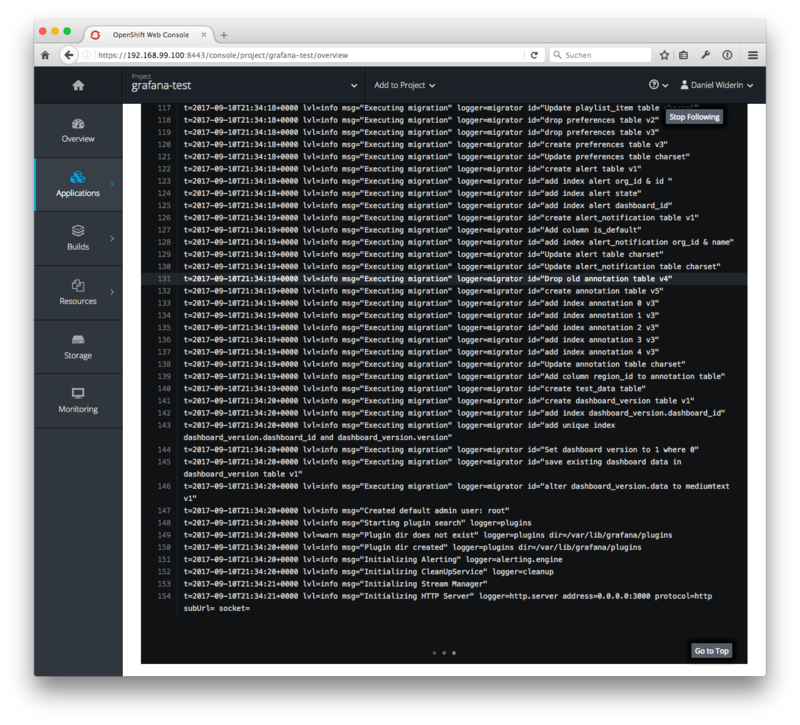 I’ve also dropped the ImageStream and use the original docker hub image (which should not make and difference). Now check OpenShift Origin web interface and enjoy.